Everything is relative. In the minuscule slice of time we live in (or the way in which we perceive it), this is solid sandstone. In the broader sense of time, over hundreds or thousands of years, I like to think that this scene would appear like water. A crack in the sandstone would open, widen, and carve and crest like waves until leveling out to a wider canyon and eventually a broader plain. 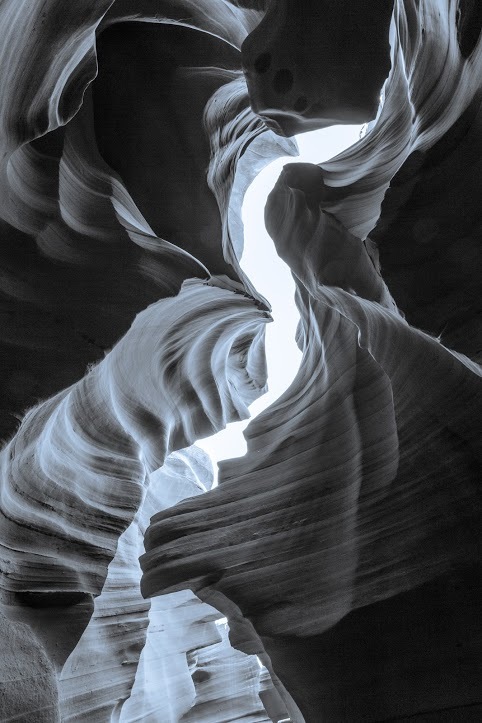 Antelope Canyon, Page, Arizona, USA December 2013.